An important activity for us and one we are most passionate about is the community and charity work that we are involved in. 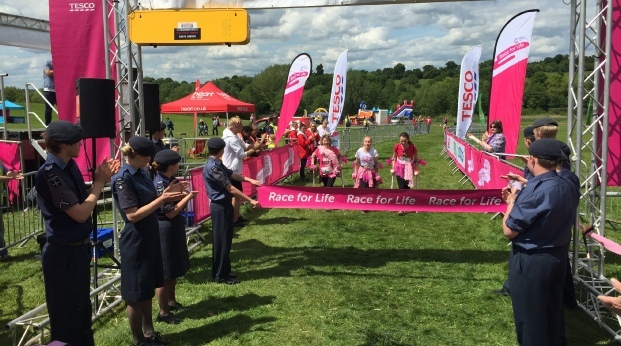 Seen in the picture above our cadets are assisting in the running of the Brentwood ‘Race for Life’, this worthy cause raising money for research into all 200 types of cancer. But that’s not all, we help out in the local community whenever we can, for example we help assist with the ground maintenance of a local church, keeping the grounds tidy and the grave stones clean.